Van Reeth K, Nauwynck H, Pensaert M. Dual infections of feeder pigs with porcine reproductive and respiratory syndrome virus followed by porcine respiratory coronavirus or swine influenza virus: a clinical and virological study. Veterinary Microbiology. 1996;48(3-4):325-335. Castrucci MR, Donatelli I, Sidoli L, et al. Genetic Reassortment between Avian and Human Influenza A Viruses in Italian Pigs. Virology. 1993;193(1):503-506. Olsen CW. The emergence of novel swine influenza viruses in North America. Virus Res. 2002;85(2):199-210. Pascua PN, Song MS, Lee JH, et al. Seroprevalence and genetic evolutions of swine influenza viruses under vaccination pressure in Korean swine herds. Virus Res. 2008;138(1-2):43-49. Lee JH, Pascua PN, Song MS, et al. 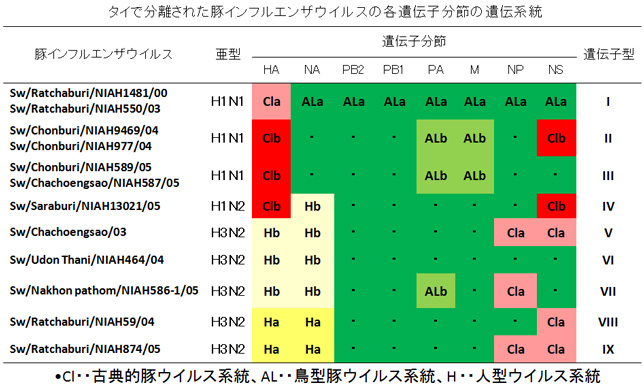 Isolation and genetic characterization of H5N2 influenza viruses from pigs in Korea. J Virol. 2009;83(9):4205-4215. Nerome K, Kanegae Y, Shortridge KF, et al. Genetic analysis of porcine H3N2 viruses originating in southern China. J Gen Virol. 1995;76 ( Pt 3):613-624. Qi X, Lu CP. Genetic characterization of novel reassortant H1N2 influenza A viruses isolated from pigs in southeastern China. Archives of Virology. 2006;151(11):2289-2299. Yu H, Hua RH, Zhang Q, et al. 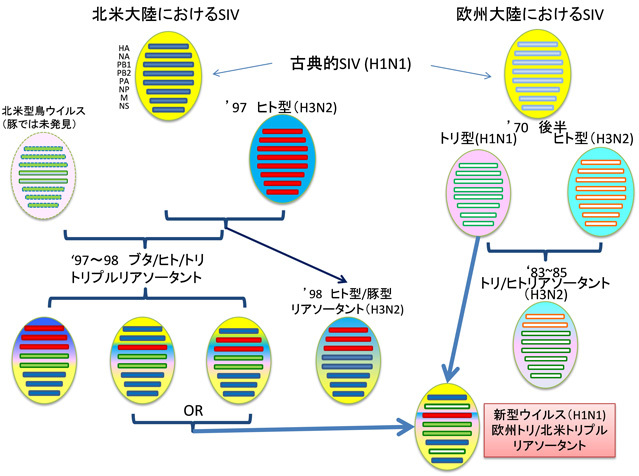 Genetic evolution of swine influenza A (H3N2) viruses in China from 1970 to 2006. J Clin Microbiol. 2008. Saito T, Suzuki H, Maeda K, et al. 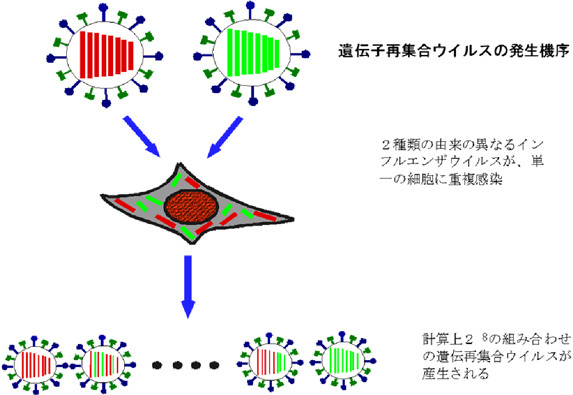 Molecular Characterization of an H1N2 Swine Influenza Virus Isolated in Miyazaki, Japan, in 2006. The Journal of Veterinary Medical Science. 2008;70(4):423-427. Takemae N, Parchariyanon S, Damrongwatanapokin S, et al. Genetic diversity of swine influenza viruses isolated from pigs during 2000 to 2005 in Thailand. Influenza and Other Respiratory Viruses. 2008;2(5):181-189. Ito T, Couceiro JN, Kelm S, et al. Molecular basis for the generation in pigs of influenza A viruses with pandemic potential. J Virol. 1998;72(9):7367-7373. Rogers GN, Pritchett TJ, Lane JL, et al. Differential sensitivity of human, avian, and equine influenza a viruses to a glycoprotein inhibitor of infection: Selection of receptor specific variants. Virology. 1983;131(2):394-408. Karasin AI, West K, Carman S, et al. Characterization of avian H3N3 and H1N1 influenza A viruses isolated from pigs in Canada. J Clin Microbiol. 2004;42(9):4349-4354. Karasin AI, Brown IH, Carman S, et al. Isolation and Characterization of H4N6 Avian Influenza Viruses from Pigs with Pneumonia in Canada. J Virol. 2000;74(19):9322-9327. Myers KP, Olsen CW, Gray GC. Cases of Swine Influenza in Humans: A Review of the Literature. Clinical Infectious Diseases. 2007;44(8):1084-1088.